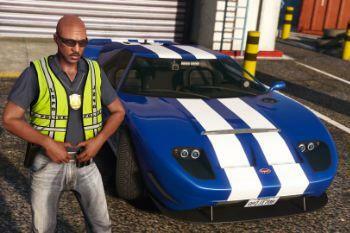 Vapid has been known to supply American law enforcement with vehicles for different applications: from the original Stanier that was prone to ignition following tailgating taken too far to a supercar that derives its soul from a racing icon of 1960s and is said to be effective in taking down speeding men with their wives that are about to deliver a baby. 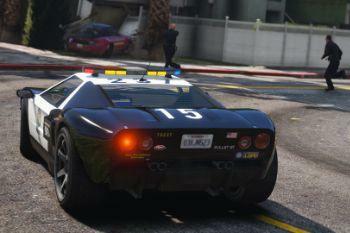 However, the Bullet is officially a show car for the LSPD and LSSD. What is more, the undercover police units are known to impersonate impromptu racers, only to flash their lights the second you overtake them - because apparently you were driving a faster car and the law can't take their loss like a man. 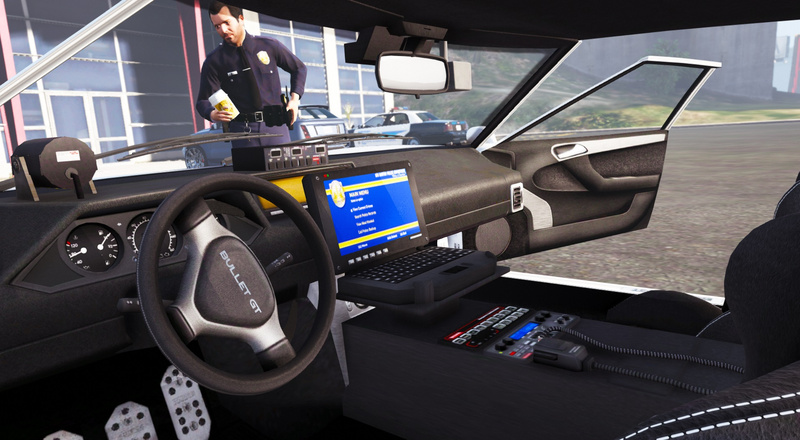 • General: new interior equipment - dash cam, speed radar, toughbook, addon vehicle soundbanks, spotlights are now extra parts, changed model names from bulgt to bullet. - Removed support for Eddlm's Auto Engine Sound Swapper script. 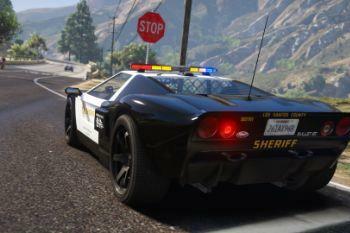 + LSPD and LSSD: new lightbar based on Federal Signal Arjent S2. + LSSD: new siren setting different from LSPD variant, added a mesh between seats and engine compartment, reworked antennas. • SAHP: tweaked lightbar model and antennas, remodelled front LEDs, removed fog lights. 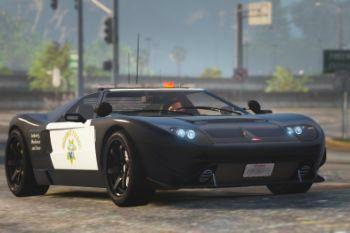 + Unmarked LSPD: added antennas, remodelled front and rear LEDs. • Pack rebuilt completely from scratch, now using Vapid Bullet GT as the base model. 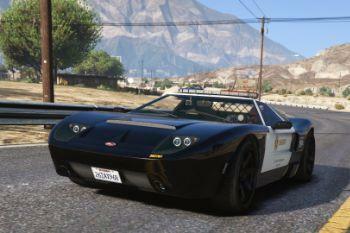 - Removed slicktop LSPD and slicktop SAHP models. • NEW! - custom vehicle soundbank - V8 engine from Bullet GT with police sirens and police radio chatter! All native with no need for external scripts. • NEW! 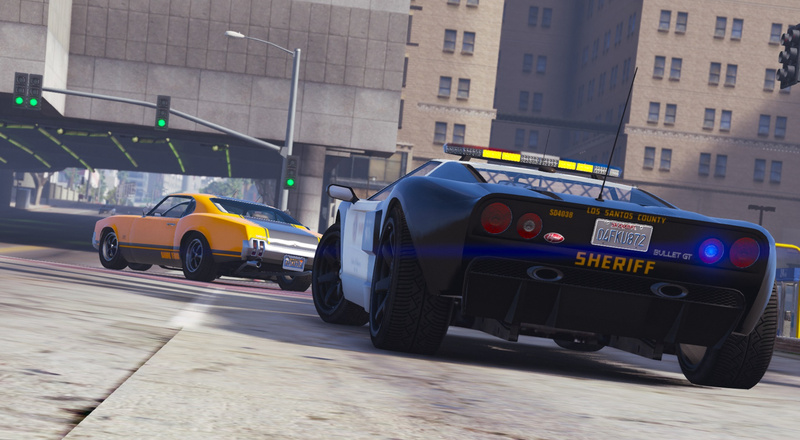 - LSPD and LSSD lightbar - now closely based on Federal Signal Arjent S2 design with two distinct lighting patterns. • NEW! - improved interior equipment - replaced laptops with toughbooks, added speed radars and dashcams, spotlights are now extras. • Body: front trunk modelled from scratch, new glass engine cover, front plate, front fog lights, improved rear fascia, new badges, side mirrors on doors, extra part: front carbon splitter. • Wheels: new colourable rims with Bullet GT plaque, paintable brake calipers. 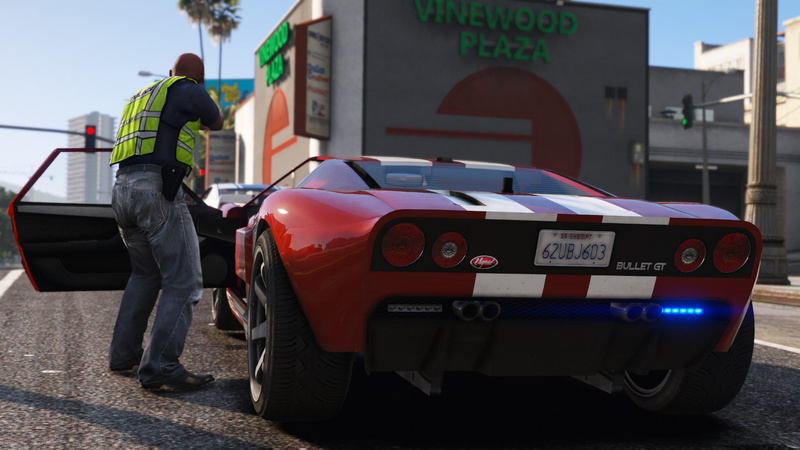 • Engine: new "Powered by Vapid" V8 model, paintable block, shaking, new sound. • Handling: more engine power, slightly lower traction. 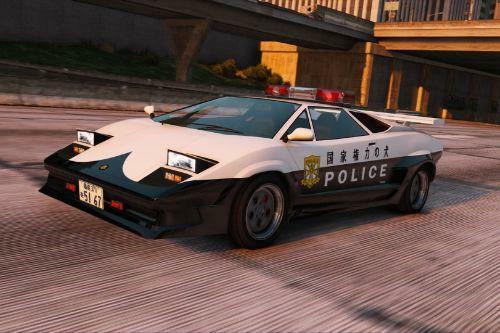 • Law enforcement variants: lore-friendly recreations of Los Angeles and California-based police agencies: accurate liveries, lighting setups and interior equipment, wobbling antennae. 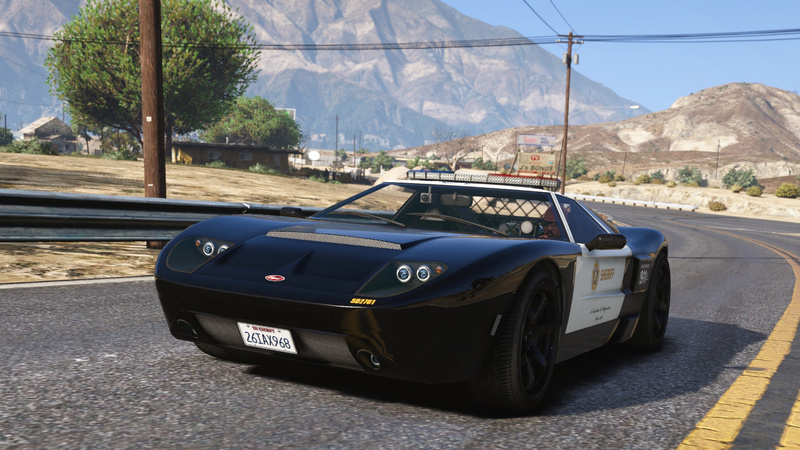 • LSPD/LSSD: new lightbar based closely on Federal Signal Arjent S2 used on LAPD/LASD vehicles - custom model with LED-based lighting setup; 4 liveries. 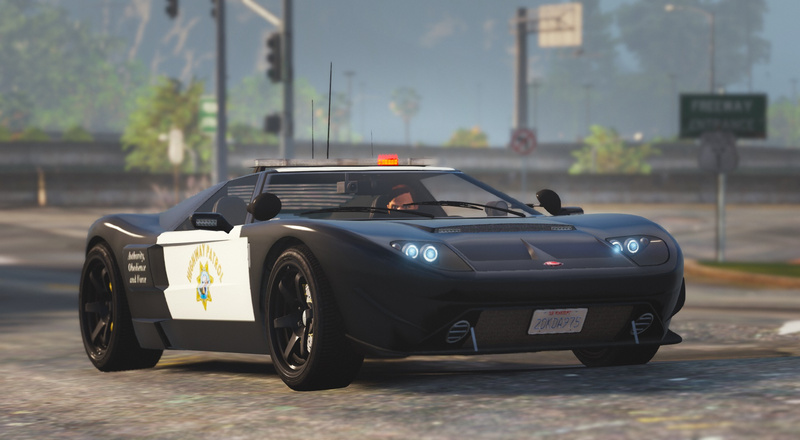 • LSPD unmarked: lighting setup based on unmarked LAPD vehicles used until 2011, spawns with 6 body colours and 4 choices of GT stripes. • SAHP: new lightbar based closely on Whelen Liberty used on CHP vehicles - custom model with LED-based lighting setup, 4 liveries. 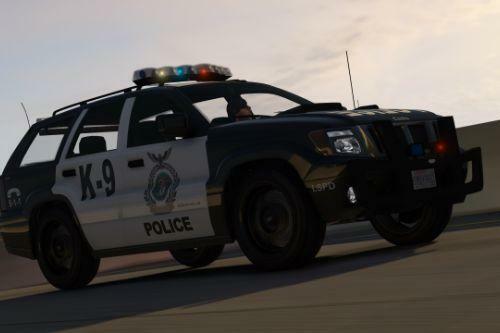 Voit Turyv - vehicle model, UV mapping and templating, law enforcement variants, livery designs, dashcam model, lightbar models: LSPD, LSSD, SAHP. 11john11 - speed radar model, emergency lighting setups, beta testing, screenshots. Jacobmaate - original LSPD and LSSD lightbar model. 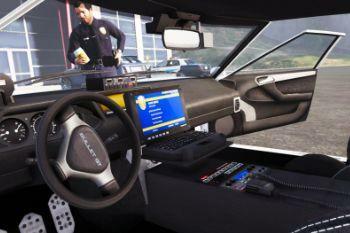 Vx5 Voltage - police toughbook model, police console model improvements. Boywond - Bullet GT badges. 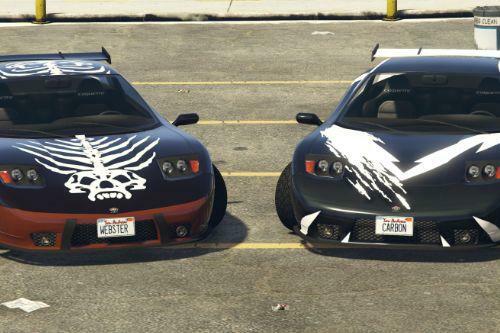 FatherMcKenzie - GT Stripes liveries. AlexanderLB - Wiwang Emergency Lighting System texture, police toughbook case and wallpaper textures. 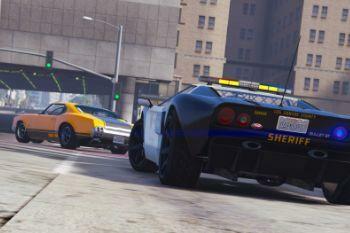 The mod is available on GTA5-Mods.com. If you want to modify the model or reupload it somewhere else, make sure to contact me and give credit. @Stryfaar Model edits are required, too. I'm not interested in these. @11john11 @Voit Turyv Understood, thanks for letting me know. The Bullet Pack 2.5 is currently only partially compatible with Realism Dispatch Enhanced 3.1 - the Bullets spawn, but their lighting setups are a bit wonky. I will work on a compatibility patch in the future. - Full livery support; 4K template included in the archive. - Common changes: added high quality mirror reflections, remodelled fog lights, rear BULLET lettering moved upwards, extended camera view in first person - now it is possible to look around with no restrictions. 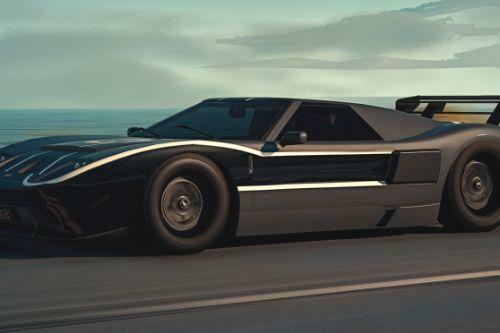 - Civilian variant: model name changed to bullet2, new engine sound, liveries: Ford GT stripes (white, black, blue, red, orange, yellow), front plate as an extra part. 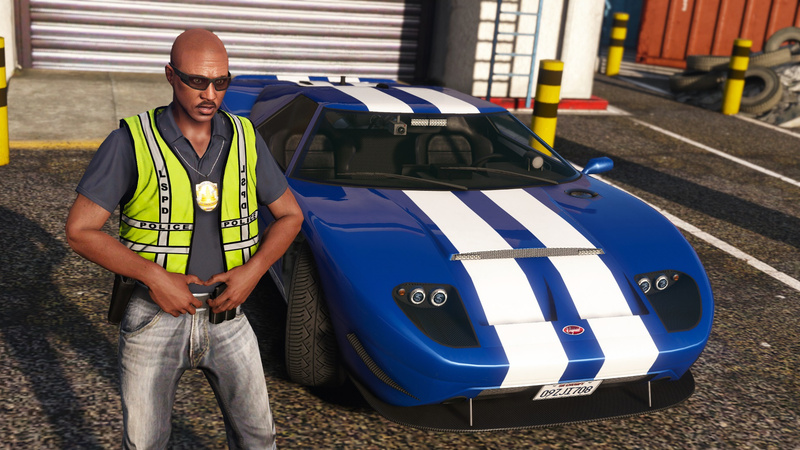 - Law enforcement variants: remodelled interior consoles, laptops and pushbars, removed gear shift paddles on steering wheels, added different colours of brake calipers for different agencies, new vehicle name scheme. 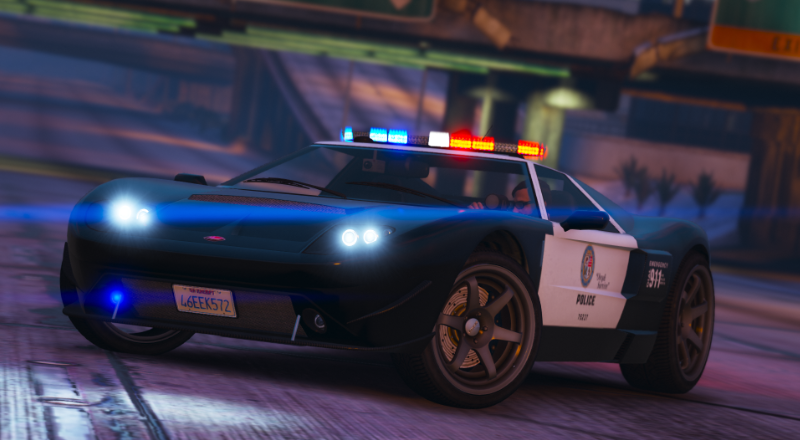 - LSPD Bullet: added a slicktop variant with a separate lighting setup (policebul2), DUDE pushbar as an extra part, spawns with blue brake calipers. - Unmarked Bullet: model name changed to policebul3, completely new lighting setup, new spawn colours, added civilian variant stripes. 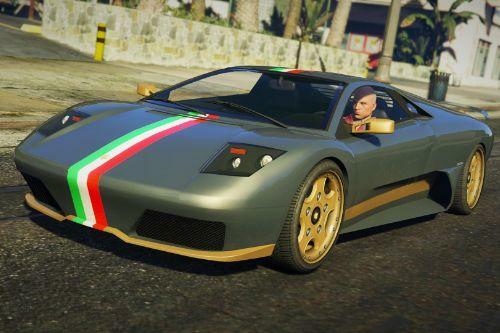 - LSSD Bullet: livery tweaking (removed the US flag), added a wobbling antenna, spawns with green brake calipers. - SAHP Bullet: added a slicktop variant with a separate lighting setup (hwaybul2), added wobbling antennae, spawns with tan brake calipers. Thank you so much for adding the double stripes man. This should be in the Vanilla works extended pack. You should ask the author of the pack to include this. SInce the original Bullet doesnt have any customizations, is it posible for this one to have some? @DynamoHotRun I'm afraid it won't be possible. 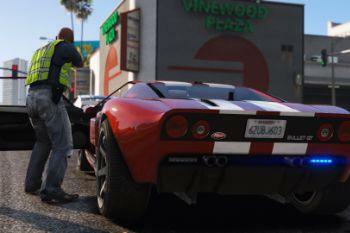 R* has nearly reached the modkit limit of 255, and the remaining modkits are mostly taken by Vanillaworks vehicles and IVPack. And I assume there is no other way around it right? What a shame. Still, great mod. @Voit Turyv Now the modkits aren't an issue....What about adding customization to this Bullet? @skelepap Such things need time and some gamefile witchcraft. I have other projects right now, but I may get back to the ol' Bullet. Great Model! 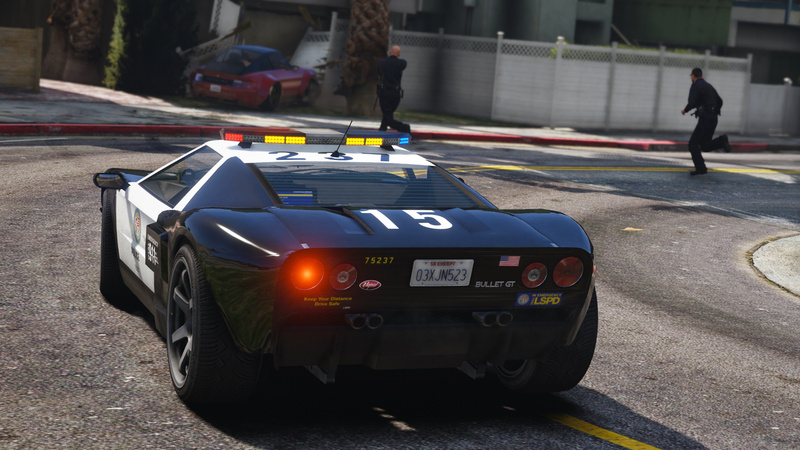 However, I have found a bug, in which the red flash on the normal LSPD/LSSD lightbar from the front of the car doesn't flash for some reason, while from the side and on the back, it does flash fine, which occurs usually at night-time. This needs to be fixed. 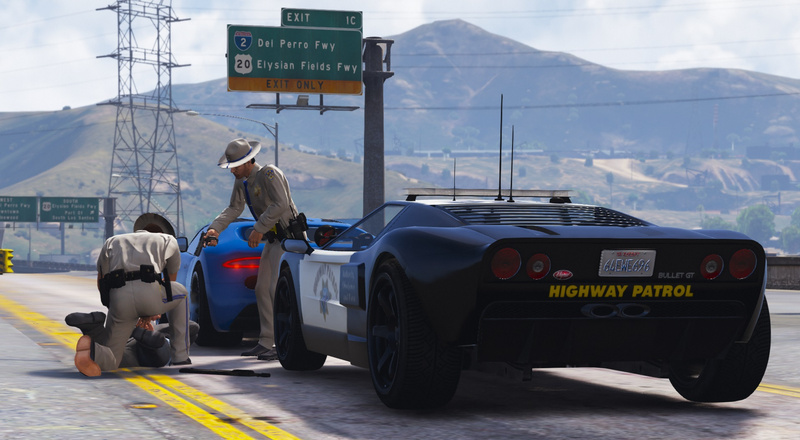 And I've also noticed that the three lights on the center of the Highway Patrol Normal lightbar don't rotate, especially the middle red and the two white lights on the side. 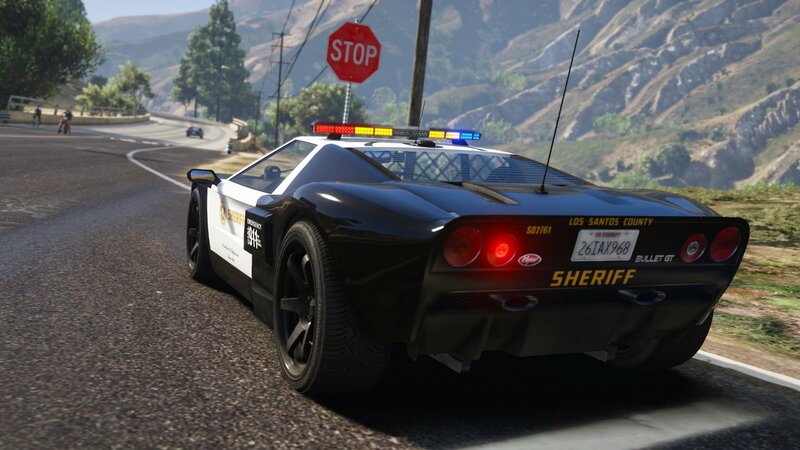 Even the LED lightbar on the Highway Patrol Bullet also does not have a red flash from the front either, much like the LSPD/LSSD Bullets. @Razorblade1812 All the non-flashing front red lamps are features, not bugs. 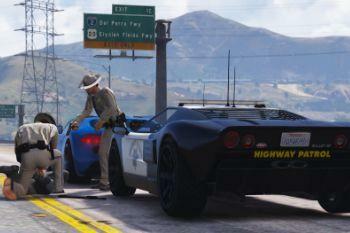 California Vehicle Code states that an emergency vehicle must have a front red steadily burning lamp. I applied that law to the Bullets, since San Andreas is based on California. Regarding the SAHP, the white pods don't rotate but function as high beams instead.